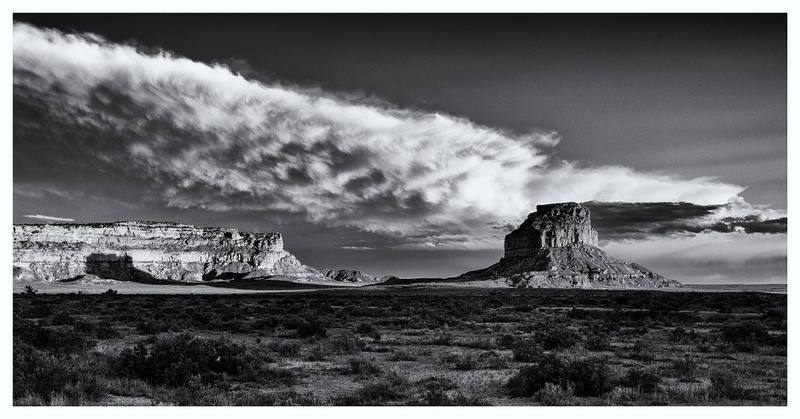 I spent the last few days with my brother and nephew in the four corners area. 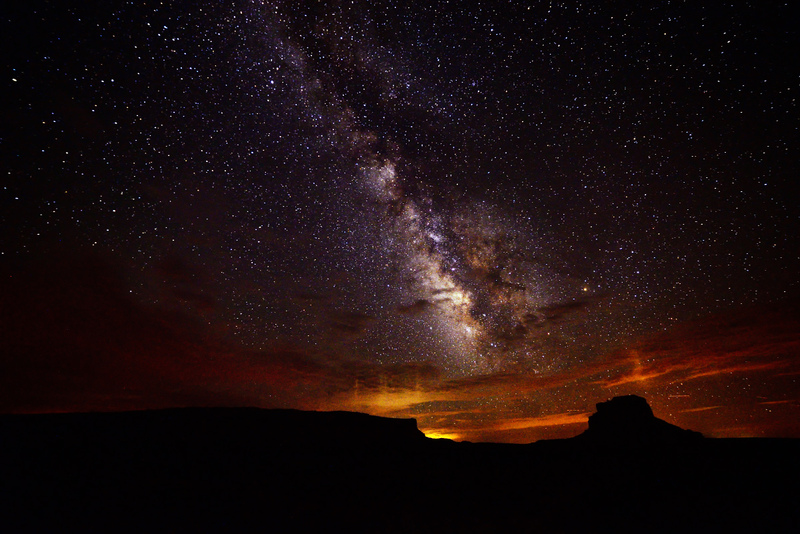 We visited Chaco Canyon and Mesa Verde, and a lot of country in between. It was a fun short trip, wish it could have been longer, but my Nephew had to get back in time for school to start. As usual, I took a lot of photos. It will take me a while to process all the better photos and post them, so this will be a running thread with a few photos posted at a time. 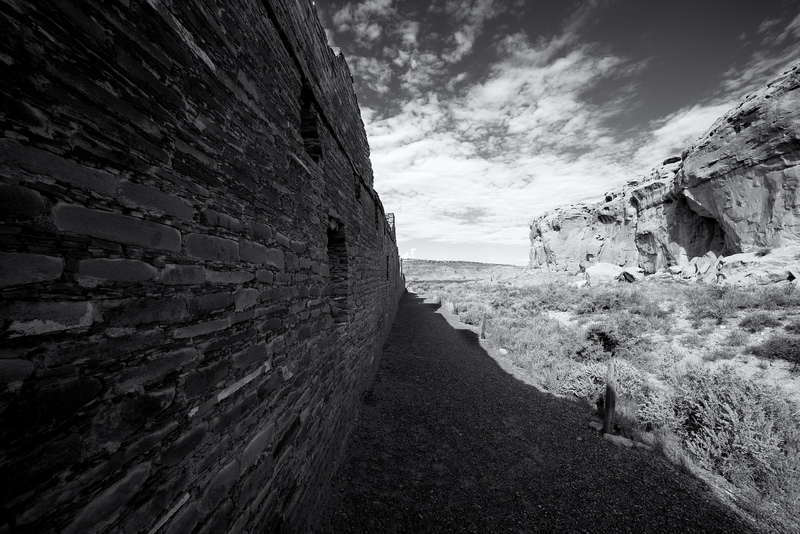 We start at Chaco Canyon, an awesome area with some very neat history. I was surprised how few people where there, at times it was like we had the whole canyon to ourselves. Later in the evening, we laid on the ground for a few hours, watching the night sky and catching about 30 meteors, a few being bright enough to leave vapor/smoke trails. Here's a shot I took during a lull in the meteor shower. 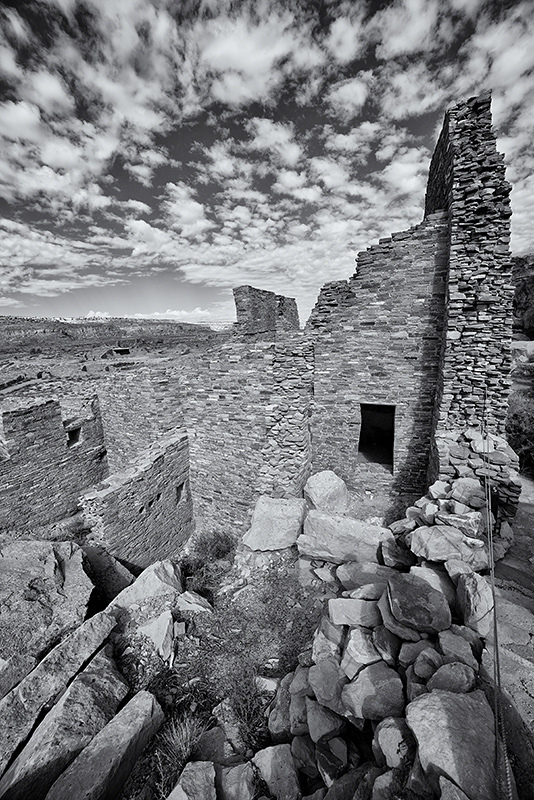 During the second day, we explored the different Great Houses in Chaco Canyon. These photos do NOT do them justice. It is hard to believe these are 1000 year old ruins and hard to imagine the labor needed to form these individual stones, as well as cutting and hauling massive trees for hundreds of miles to this dry canyon, all by hand, and all by simple stone tools. Pueblo Bonito is a HUGE structure that covers many acres. 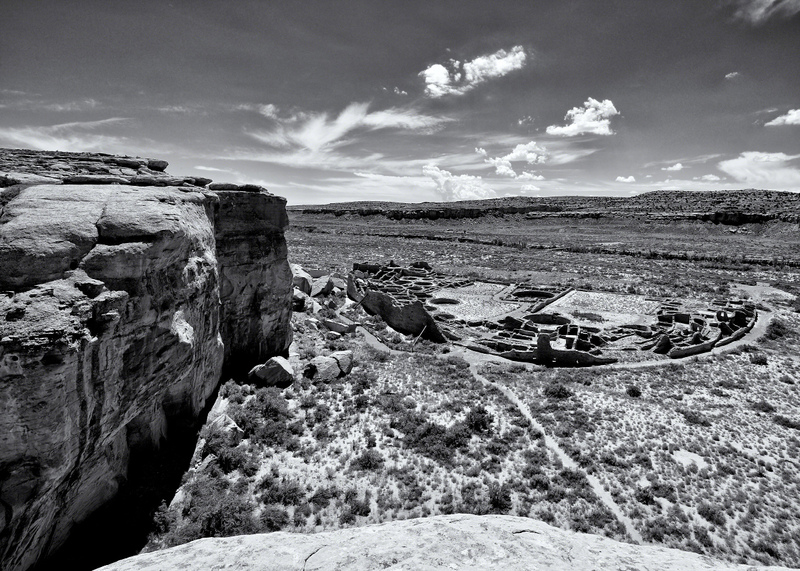 You can see where there were up to 4 story high rooms and massive kivas. There is a section that you can walk into and explore. It is awe inspiring to see it in person. The black and white treatment didn't work for this one. I'll be updating this post when I get more photos processed. All are beautiful. Love the composition on all of them. You did a great job on these, Andrew. The 2nd one, the night one is by far my favorite. All of them are fantastic though. A few more photos processed. 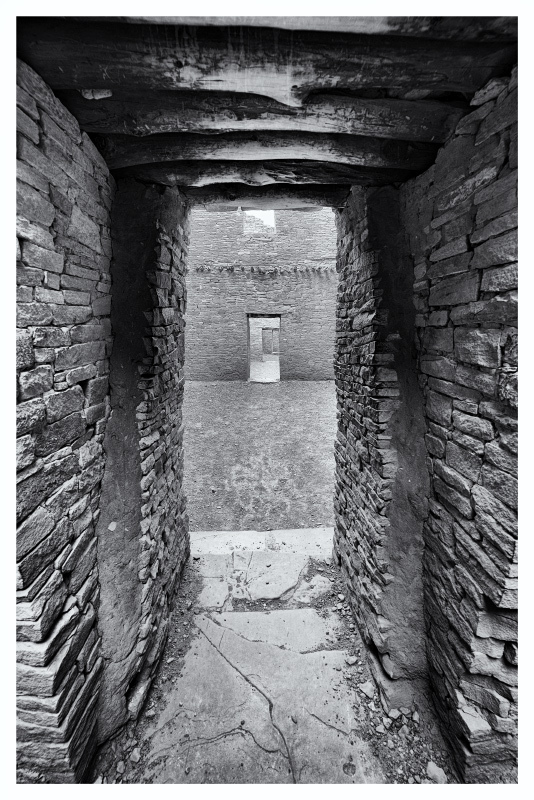 Here is one of the Great Kivas in Pueblo Bonito. These are huge structures. It is amazing to think that they had the technology to span this wide of a hole with a roof, all cut with stone tools. It must have really been something to see when they were in good shape. After walking though Chetro Ketl and Pueblo Bonito, we headed up the trail that goes to Pueblo Alto and New Alto. 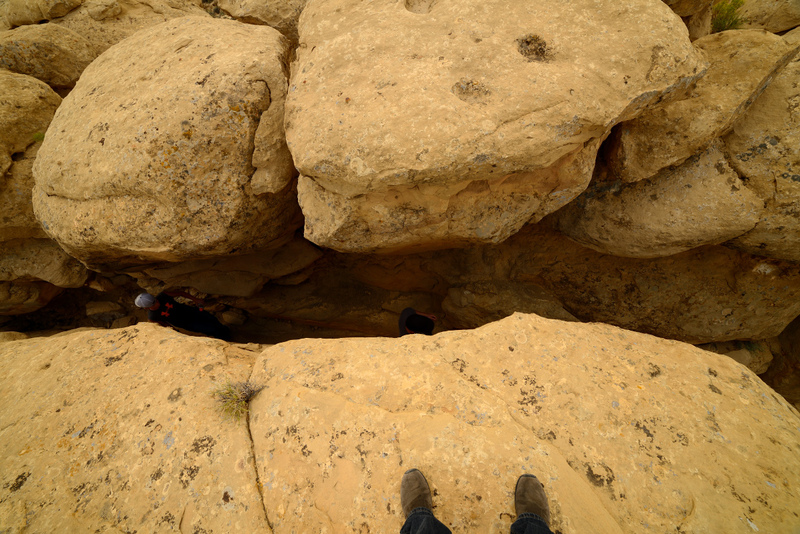 The trail climbs up a steep, narrow chimney in the side of the canyon. 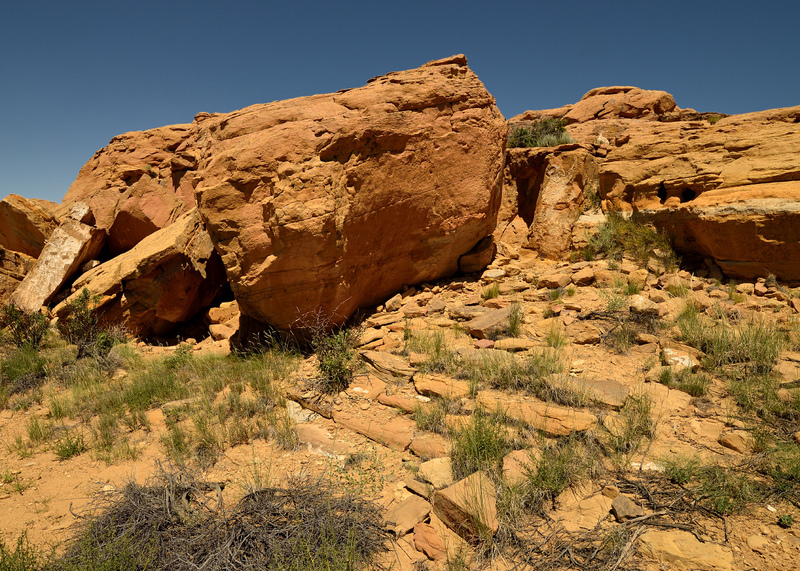 Continuing up the trail to Pueblo Alto, you come across many smaller structures such as pecked out catch basins in the rim rock to catch water from the infrequent rains. There are also Chacoan steps still visible along the canyon walls and higher up. Here are a few Chacoan Steps. You can see them in the bottom/center of the image. There are many sites on top of the tableland outside of the canyon. Pueblo Alto is a huge structure that is mostly a mount of wind blown sand and overgrown with brush. A later, smaller pueblo, New Alto sits to the west a short distance. 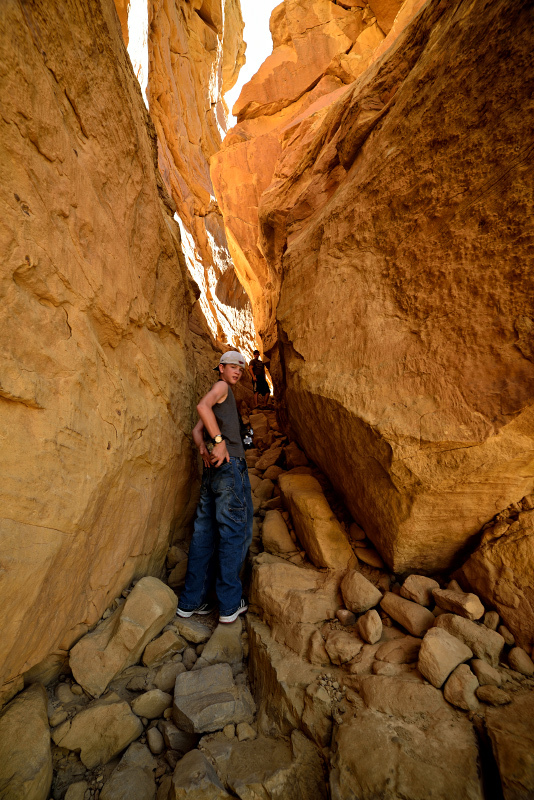 This is just a shot of my brother and nephew walking down into the slot that takes you to the canyon floor. Coming out of the slot you have Kin Kletso in front of you. Up Next -- Mesa Verde! Location: The deep south, that's the deep south of England. Yep got to add this area as a place to go. LOVE the 2nd shot, print and hang. These are absolutely outstanding images! I love the B&W conversions. They are very well done. Are any of these images HDRs? Just returned from a trip there myself. Very educational. 6D, G9, Sigma 50 1.4, Sigma 15mm Fisheye, Sigma 50 2.8 macro, Nikon 14-24G 2.8, Canon 16-35 2.8 II, Canon 24-105 f/4 IS, Canon 70-200 2.8 IS, tripod, lights, other stuff. Great shots. It looks like a really cool place to visit. Wonderful shots! 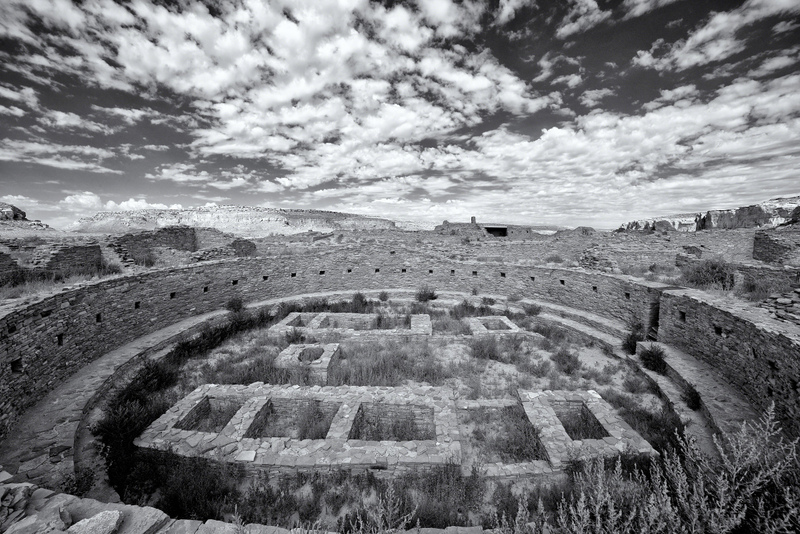 I'm partial to Chaco Canyon, just a fascinating place in so many ways. Thanks! It was my first time at Chaco. I am DEFINITELY going back. I'd like to visit in the winter for some snowy shots. Thank you. 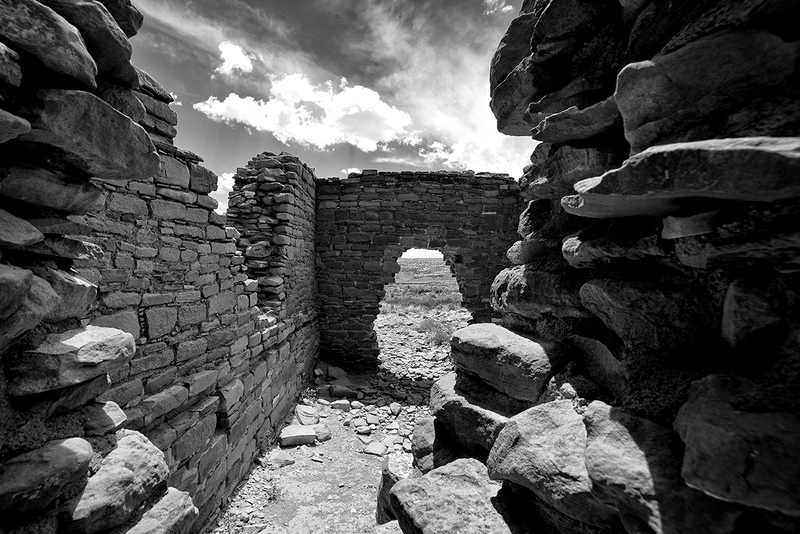 I just got the Nik Silver Efecs plugin and may be going a little overboard, but I am REALLY liking the B&W shots of the ruins. They add a lot more to the photo as the color versions look very flat in comparison (noon day sun and all the colors are just shades of orange). Yeah it is. 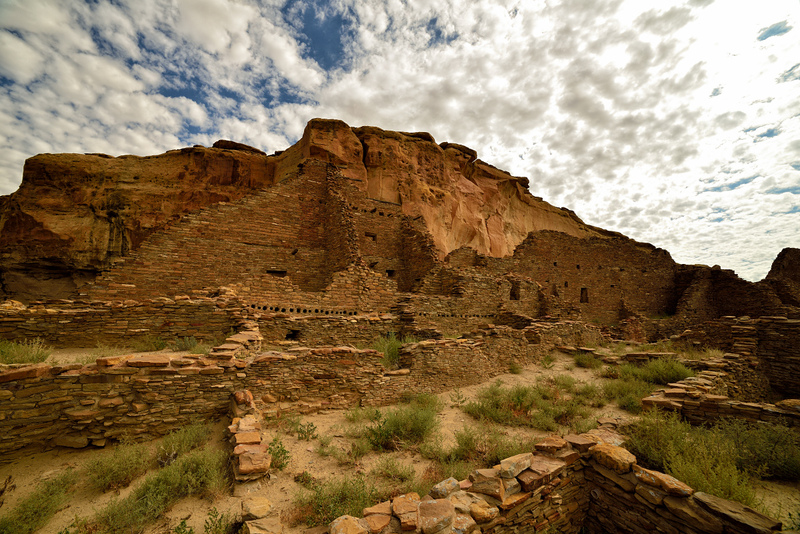 I've read everything I can and watched everything I could about the Anasazi (I know you're supposed to call them Ancestral Puebloans in this pc era) for many years. Their culture and the mystery surrounding them has really intrigued me. 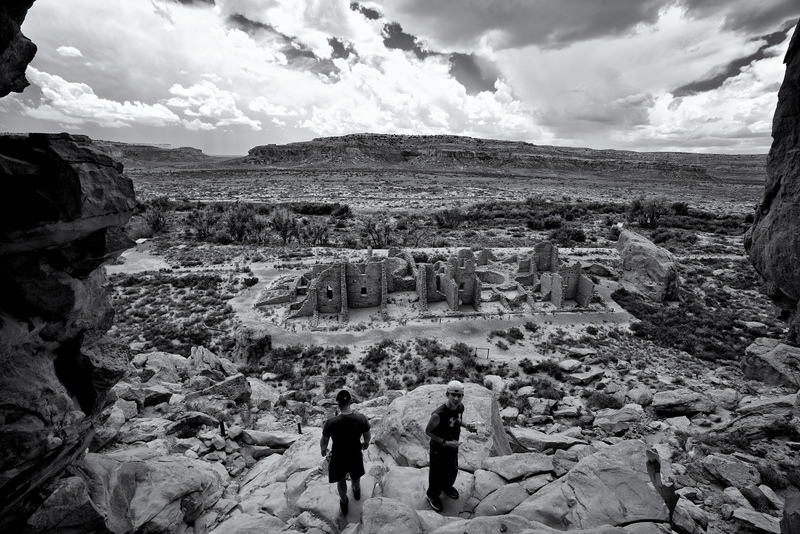 I've visited Mesa Verde many times as well as other areas in the four corners, but this was my first time at Chaco. It is a great, rarely visited area. As I said earlier, we had the ruins to ourselves and rarely seen another person, a VASTLY different experience than places like Mesa Verde. Thank you. It is that. The whole four corners is a great place to spend some time. Be warned though, if you do visit, you'll be constantly pulled back there. There is an allure there that is hard to explain. Thank you. As I see by your avatar, you are familiar with the culture . I'll definitely be going back when I have more time for a purely photography outing. This time I just took some snaps while exploring with my brother and nephew. 2nd shot in the first series is amazing.